Home hair transplant How To Know Your Suitability For Hair Transplant? People can start losing their hair from as early as their 20`s and the hair loss can start from different places on the head. When making the right decision about getting a hair transplant, many points come in to play for example what causes this hair loss? How severe is the hair loss? Different factors are taken in to account to decide if you are a suitable candidate for the transplant. 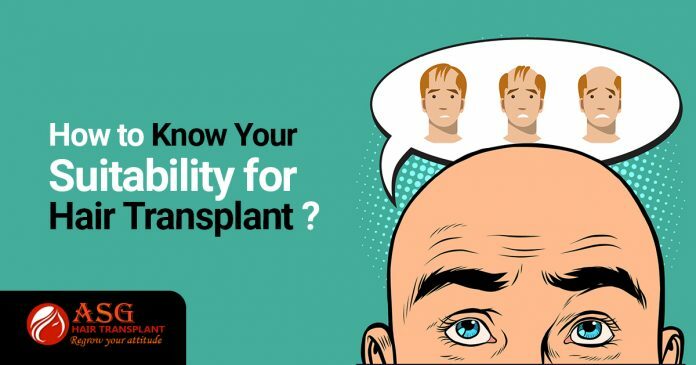 If you are considering of getting a hair transplant to take a look at different factors that determine if you are suitable or not. At young age pattern and extent of, hair loss is not clear and with this, in mind, it is not recommended to transplant early. You may lose your hair for a number of different reasons. And it is also believed that all hair loss is permanent. Telogen effluvium can cause hair loss, with an increased number of hair follicles the rest stage, and this is caused most notably by stress. The body shuts down the production of hair during stress. During an FUE hair transplant, the treatment works by taking donor hair from the head which still has hair, and microsurgical needles to puncture the scalp area which receives hair grafts. Individual hair follicles are then inserted into these punctures, at an angle to match the original hair growth. If you still feel that you want to be treated, please remember there are hair loss treatments that might be suitable for you. If you would like more information on hair loss, feel free to contact us we can the provide you more information.